Operating for more than 5 decades, we have the knowledge and wisdom passed on from generation to generation. We have specialized and proven ourselves through a vast cargo freight service, which allows our clients to rely on a dynamic, solid and professional business partner. 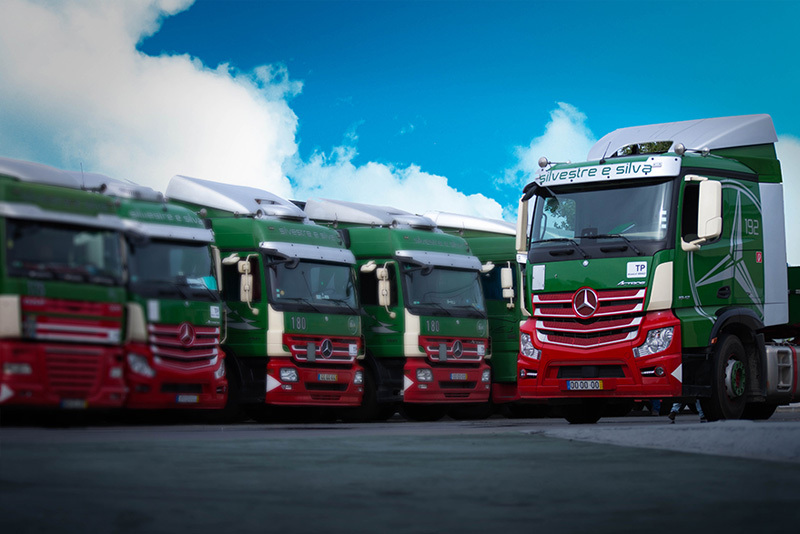 The constant renewal our fleet undergoes and the continuous search for the latest technologies, together with a young professional team, guarantees the safe transportation of your goods, any day, any time, anywhere. We work closely with Repnunmar - Logística e Trânsitos, allowing for a complete custom service when it comes to delivering your cargo. A certified company for a better service! Providing a premium service is and always will be our primary goal. In order to maintain our high Quality standards, yearly audits are held, as defined by the Quality Management System, regarding directive ISO 9001. We are constantly putting in place and certifying new processes, as our clients' needs demand. To present efficient, competitive and combined solutions at the transport level, promoting the satisfaction of customers, as well as other stakeholders, taking into account the economic, social, environmental and safety aspects. -Provide the resources relevant to the implementation of this policy in business and its continuous improvement, not neglecting the opportunities and risks associated with its internal and external context. 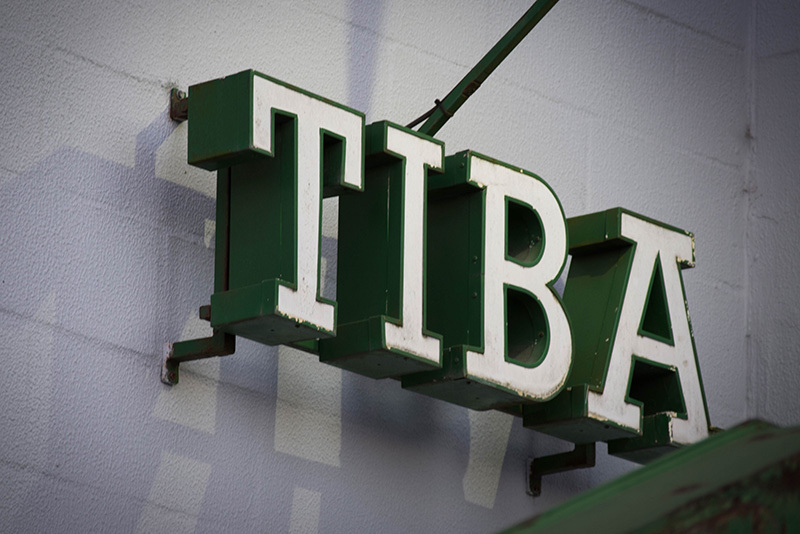 Our mission is to provide a more efficient transport and your business more competitive. Quality. Excellence. Competence. Innovation. Sustainability. Safety. Environment. People. Formation. Commitment. Confidence. 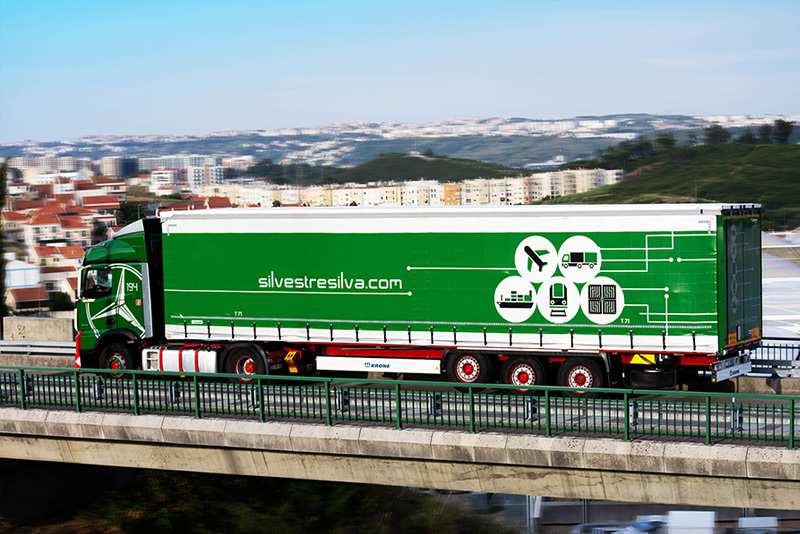 A first pick-up truck is acquired to transport vegetables from the saloi area to the supplying markets in Lisbon and the company "Transportes Silvestre & Silva, Lda. ", A family-owned company, with the share capital of $ 50,000.00. Also begins the transport and distribution at the national level of exotic woods. The company enjoys renown and prestige in the transportation of exotic wood in the national and international market and, with the flourishing of the civil construction market, there being a need to serve large customers, the company's shares were acquired "Transportadora Ideal do Bairro de Alcântara, Lda . ". The development of a logistic platform for the pallet with serrated pine wood at the Lisbon quay is carried out with the aim of embarking on ships for export. Shipping containers becomes more attractive for long-distance shipping. To support this development, the shares of the company "Sociedade de Transportes Fersabel, Lda." were also acquired. A partnership with the European logistics centers for the support and development in the road transport is initiated and the logistics center of Lisbon and of the Póvoa de Santa Iria dedicated to the container is inaugurated, as well as of the conservation unit and park of vehicles in Vale de Almornos - Sintra, where extensive facilities are available for workshop and vehicle assistance, 24 hours a day, ensuring a careful preventive maintenance of the fleet. Aimed at upgrading computer circuits in order to effectively control and develop the production process, allowing global computerization of all services. 22 new vehicles are purchased in order to keep up with the demands of the market and thus provide a continuous service of Quality and Excellence. The Certificate of Compliance is attributed to the organization management system of our TIBA, STF and TSS companies complying with the requirements of the NP EN ISO 9001: 2000 standard. Microsoft Business Solutions - Navision is implemented. Two new companies are created - Repnunmar - Logística e Trânsitos, Lda. And Três SSS - Serviços de Secretariado e Assessoria, Lda., Giving impetus to the transitory / logistics activity and the maintenance of vehicles, respectively, integrating in them services and means already before transport. Two warehouses are inaugurated, one in Moreira da Maia (Porto) and another in Poço do Bispo (Lisbon), being formally approved to function as Export Warehouses. Acquire new vehicles: 10 Euro 5 tractors; 3 extendable container carriers and 3 TIR tarpaulins. The growth of the business requires a merger and centralization of operations, with the incorporation of the three Silvestre e Silva Group companies, in the Transportadora Ideal do Bairro de Alcantara. A larger container depot opens in Camarate to boost container logistics activity. Installation of the integrated management software - eBusiness Cargo and the upgrade of the location and fleet management system based on GPS and GMS location technology installed in the vehicles, allowing location and real time information of the merchandise. In the middle of the year of 2013 begins the expansion of the Container Park in Leixões. By this time the Air Transit service begins to consolidate. In 2014 the Silvestre e Silva Group invests in new facilities in Sacavém, providing better logistic conditions and new business opportunities while consolidating its distribution process in Madeira and the Azores. Acquired 11 vehicles for fleet renewal, all equipped with Euro VI engines, more efficient version in terms of reduction of emission of polluting gases and better use of fuel consumption.